Indian service providers, much like their global counterparts, are grappling with the ever-increasing demand for bandwidth and networks that can quickly adapt to meet the changing user requirements. Affordable smartphones coupled with low-priced high-speed data connectivity have made mobile broadband extremely accessible. All this has ensured that the country now boasts of 30 percent internet penetration, and is expected to reach 50 percent soon. India now has a total of 432 million broadband subscribers and 413.65 are using mobile broadband, as per the latest report by Telecom Regulatory Authority of India. The popularity of the internet content providers, like Facebook and WhatsApp, among others, has also contributed to the country’s growth of mobile broadband. For example, there are around 200 million active Indian subscribers of WhatsApp, a popular mobile messaging app, and India is also one of the largest markets for Facebook. In addition, as consumers become aware of the vast potential of the internet, they are expecting a quality network experience with faster access and better coverage. Indian networks are not designed for this kind of growth. It is not surprising then that the country’s service providers are investing in solutions to not only meet the growing bandwidth demand but also lay a path for more intelligent and programmable networks that can deliver the best possible experience to users. On top of this, Indian service providers are also starting to prepare networks for innovative technologies, such as 5G, Internet of Things (IoT), Artificial Intelligence (AI) and more. These technologies add extra pressure to service providers because they require massive scalability, programmability, and fiber – lots of fiber. Fiber Densification has emerged as a way to help service providers address these challenges. In wireless networking, densification means adding cell sites in a particular location to expand coverage and to provide a network with lower latency. It also enables service providers to add more subscribers without compromising their network experience. This strategy is especially relevant in urban Indian settings with high population density and where the service providers struggle to maintain a good network experience as they continue to add more subscribers. On the other hand, in the case of Multi-Service Operators (MSOs), they use densification to push fiber closer to the edge of the network. MSOs are transforming their existing TDM/legacy based access infrastructure to meet the business objective of enhancing the end user’s experience. Increasingly, densification is also being used in data center interconnect to cope with an ever-increasing pace of innovation and capacity demands. Fiber densification of the networks is of utmost importance as Indian service providers prepare their networks for 5G and other innovative technologies like IoT. According to Deloitte’s study for India’s Department of Telecommunications, less than 15 percent of the base stations are fibred in the country. In addition, the Indian Government is keen that the country takes a more prominent position in the developing 5G ecosystem and has taken strategic steps to help bring this technology to market. For example, the government has launched a testbed for 5G in collaboration with the top technical universities in the country. Further, the Indian Government has launched a number of other initiatives, including Smart Cities Mission and Digital India, to push the usage of digital platforms in the country. These initiatives will require robust, agile, and flexible network infrastructures. On top of this, a low latency network is almost central to the concept of the smart city. 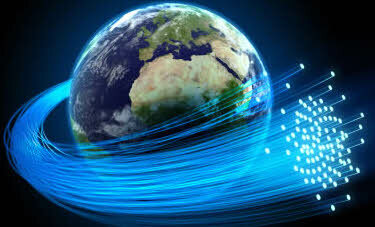 A fiber network is then crucial to provide a low-latency and highly functional network, which will enable the service providers to turn the administration’s vision into reality. Fiber densification will be crucial for Indian service providers as the country’s demand for bandwidth continues to rise. Densification will also support these government initiatives and make the vision of Digital India a reality. The Growing Relevance of Fiber Densification in India 0 out of 5 based on 0 ratings. 0 user reviews.